angels, originally uploaded by bill kralovec. 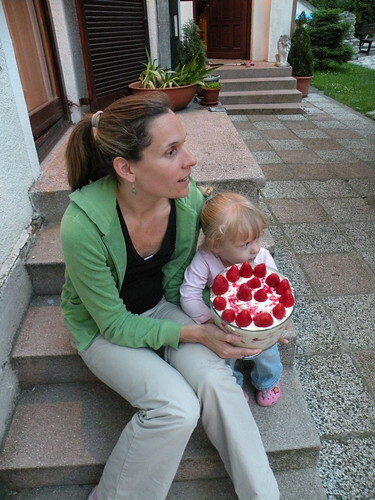 Nadia and Ocean made a delicious strawberry dessert yesterday and we enjoyed some after our soccer game. The cherries and strawberries are coming into season. We stopped at the Green Market in Senjak last night and stocked up. We’ve had dreadful weather this week with cold temperatures, overcast, with occasional showers. I haven’t seen the sun since Saturday and that was only for a short time. This is a hugely busy time of the school year and I haven’t spent enough time with my family lately. I hope to change that this weekend.